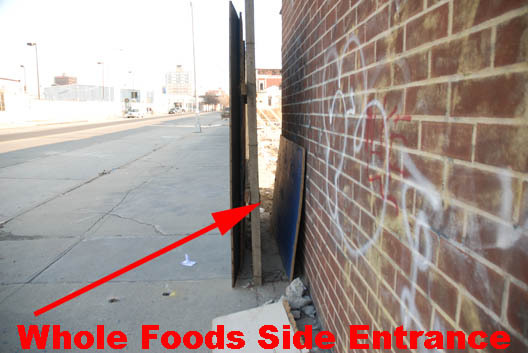 Vandals seem intent on make sure the environmentally-challenged Whole Foods site in Gowanus stays open, as yet another opening has appeared in the fence. This is the third or fourth time the fence has been open at the abandoned site. Interestingly, the Department of Buildings did check up on a complaint logged on October 20. 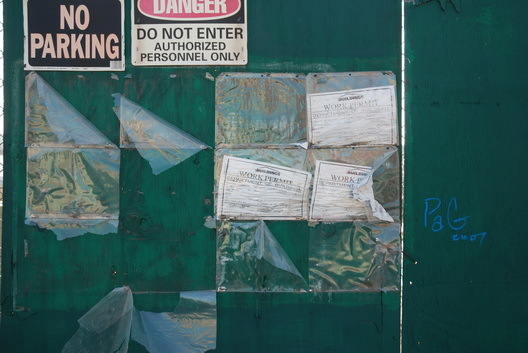 They came by on November 27 and the inspector wrote "no defects observed" in the fence, parts of which seem to be held up with tape and gum. 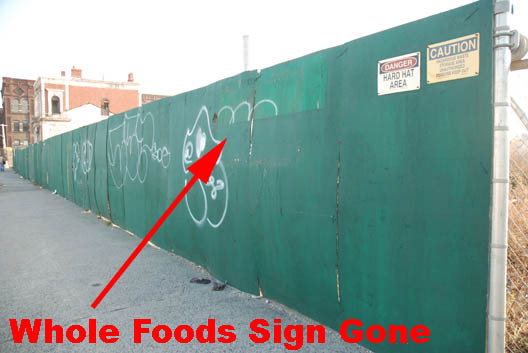 What is especially interesting, however, is that the sign identifying the site as belonging to Whole Foods is also gone. It seems to have vanished sometime in the last couple of weeks. Stolen by vandals? Or taken down by the grocer? Many of the expired buildings permits at the site have also been ripped down. No permits have been issued for the big project, which would place most of the grocery store underground. Such a building is allowable on the site without any special permits. The Department of Buildings has rejected several Whole Foods applications, most recently on September 19. Despite the abandoned look of the site, on which a few parts of car bodies have now appeared, there is no sense that Whole Foods has given up on the project, just that there's a lack of movement and no one is looking after the property. 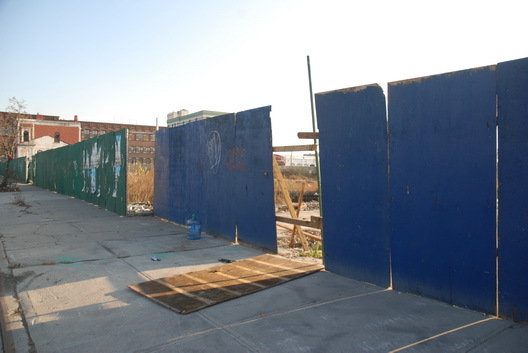 Carroll Gardens Democracy Wall in Danger?